It’s hard to believe that summer is officially over. The weather in New York is hovering in the 90’s, the sun is shining, and the heirloom tomatoes are still readily available at the farm stands in Union Square. 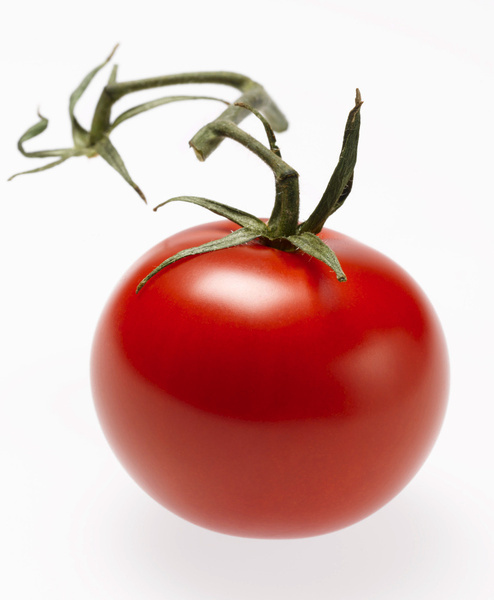 Before we have to go back to tomatoes that are vagely reminiscent of styrofoam, I’ll be eating as many of these as possible. 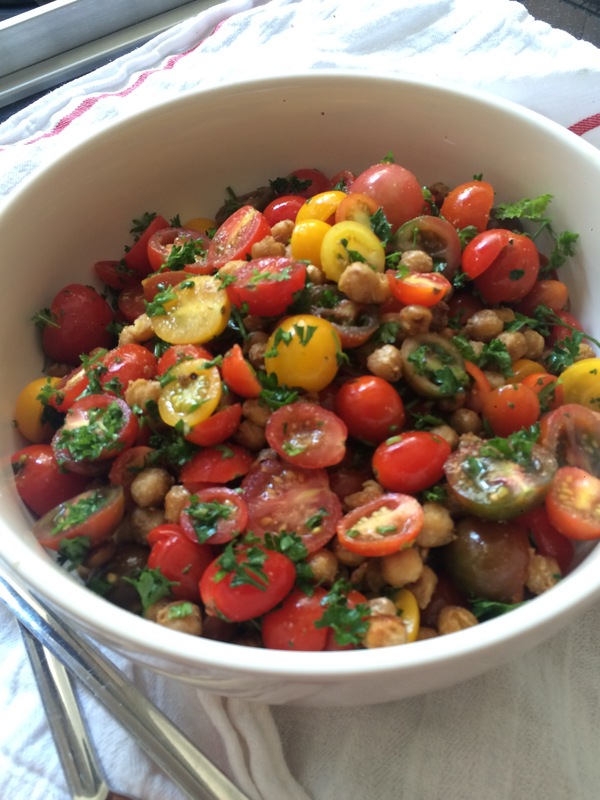 One way I’ll be doing that is with this tomato and chickpea salad. 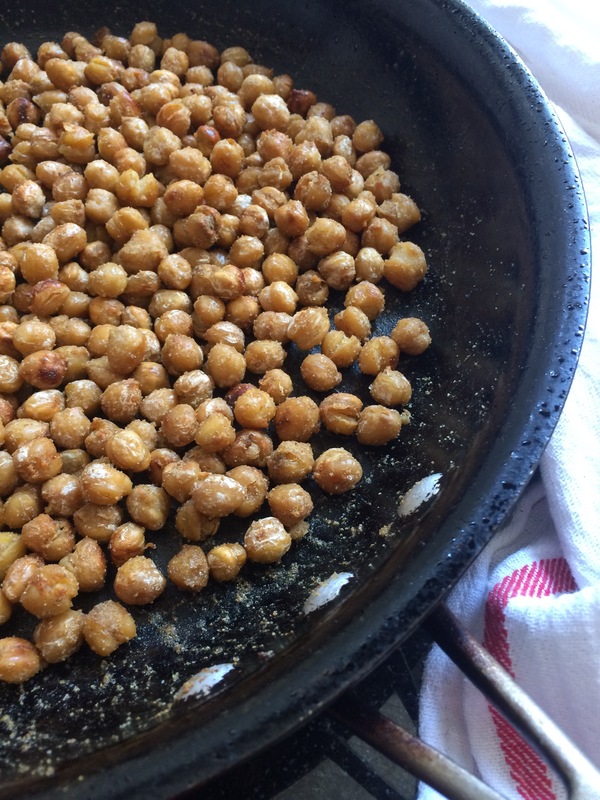 The chickpeas get pan roasted and infused with flavor, thanks to a little cumin. Add a little parsley, some salt and pepper and a quick shallot vinaigrette and toss it all with the freshest, ripest little tomatoes you can find. It doesn’t get much simpler, or tastier than this. Heat olive oil in a pan until glistening. Add a can of chickpeas, drained and rinsed to the pan and spread them out so that they are flat and all of them make contact with surface of the pan. Mix the chickpeas with a pint or two of cherry tomatoes, sliced in half, or several large tomatoes, cut into chunks. 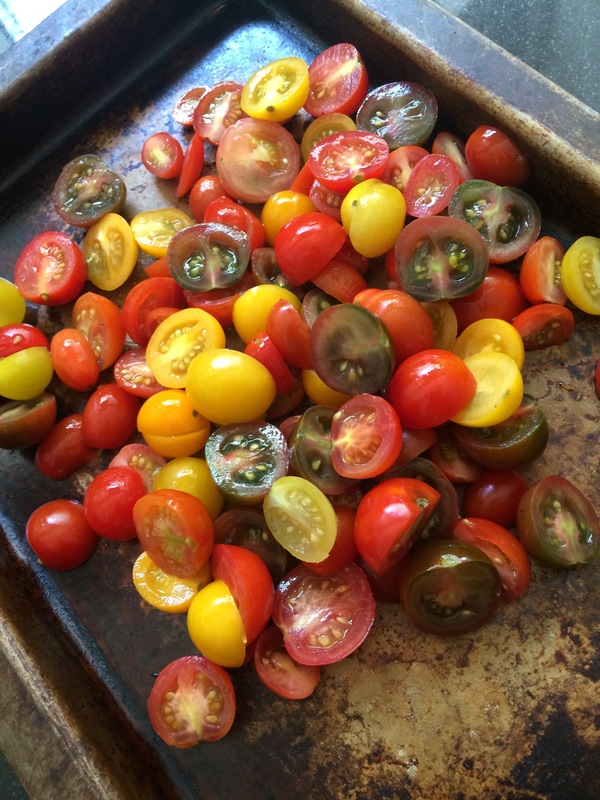 We used heirloom cherry tomatoes which come in beautiful range of colors and shapes. Add a big handful of minced parsley, and season with salt and pepper. Toss with olive oil, red wine vinegar and a finely minced shallot and enjoy! We made ours in advance, and kept the shallot vinaigrette separate until just before serving, to avoid having the tomatoes marinate, but you can also mix it up in advance if you prefer. Lately, I am facing the ultimate dilemma; trying to eat clean, and longing for something warm, hearty and a little more comforting. When I saw a photo of this on the New York Times cooking site, I knew I had to try it. It was quick, healthy and full of flavor, taking those boring chicken breasts to a better place. The sauce is good enough to eat with a spoon, and was perfect over pasta for the non-carb deprived members of the family. This one may become part of my regular dinner rotation this winter! 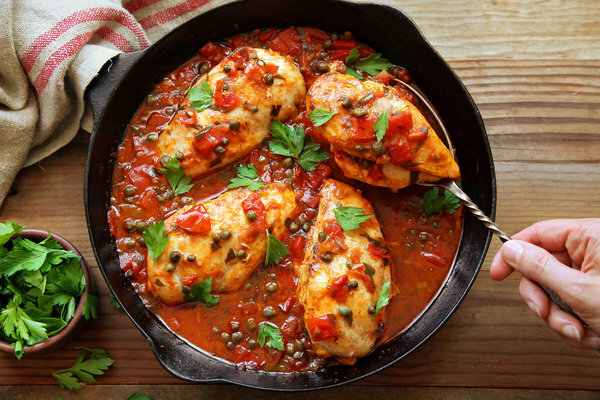 Heat olive oil in a saute pan, and add 4 skinless, boneless chicken breasts. Season with salt and pepper and saute for about 3 minutes on each side to brown, turning often. Add a large diced shallot or two, and a few diced garlic cloves to the pan and saute quickly. Add a handful of chopped fresh tarragon (or 2 teaspoons of dried tarragon), 1/4 cup of red wine vinegar, 1/4 cup of drained capers, 1 cup of dry white wine and a couple of big squirts of tomato paste. Bring to a boil and reduce the heat to a simmer. Add a can of drained, chopped tomatoes(or pureed tomatoes for a saucier dish), and continue to simmer covered, for about 8-10 more minutes. Serve over pasta or zucchini noodles and enjoy! We all know the importance of slathering on the sunscreen before going out for prolonged periods of time, but even short strolls in the blazing sun can do damage to our skin. 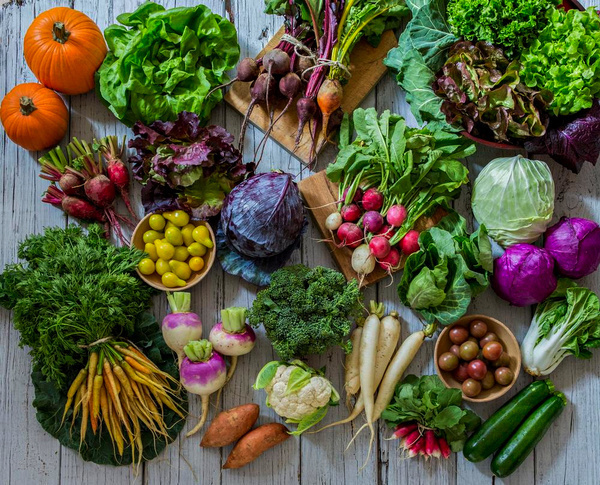 An article featured on Q blog this week points out the ways we can protect our skin from the inside out, by eating the right foods to help reduce the damage from UV rays. 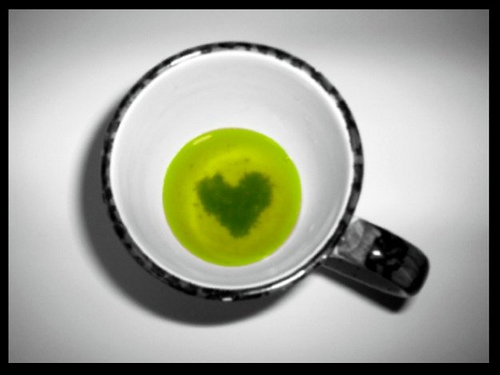 The antioxidents in green tea have been proven to reduce the risks of cancer. According to Dr.Macrene Alexiades-Armenakas, these powerful leaves “offer photo-protection from the sun’s radiation, blocking UV lights that cause skin tumors.” It is also associated with increased fat burning, so drink up! These ruby red fruits are at their peak right now. The lypocene found in tomatoes not only increases collagen production thereby boosting elasticity, it also helps neutralize the harmful effects of sunlight. Salmon contains high levels of vitamin D, which increases natural sun tolerance and is blocked by the use of topical sunscreens. 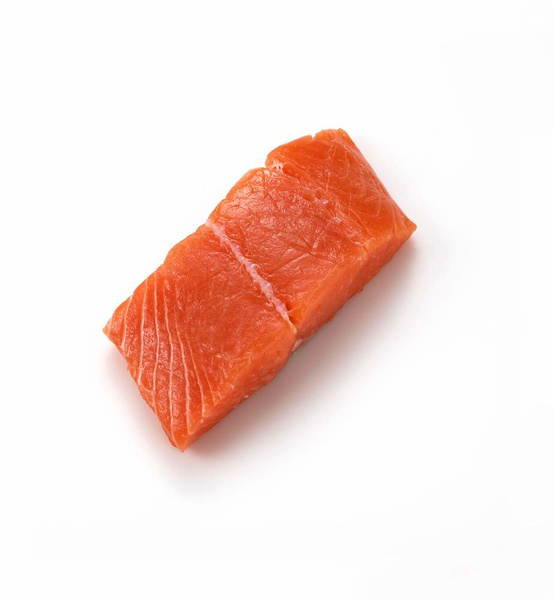 Raw salmon (ala sushi and sashimi,) has even more vitamin D than its cooked counterpart. 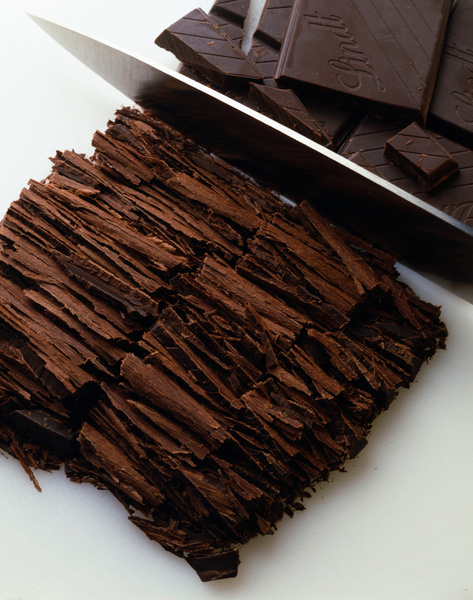 The flavinoids in dark chocolate improve blood flow by dilating the vessels, which provides protection when you skin burns. While adding these protective foods to your diet is great, it does not replace the need for using a good sunscreen and a floppy hat when you are out in the sun. After almost 10 months of traveling endlessly for work, I am back in New York for awhile and settling into my new, OLD routine again! Cooking and eating greenmarket fresh vegetables : I love vegetables and finding a variety of fresh, simply prepared produce isn’t so easy to come by on the road. Many hotel restaurants don’t offer a lot of vegetable choices, and slathering them in butter, a creamy sauce or frying them doesn’t help matters. My current fixation is zucchini. It has become my main course when the family is having meat ( which I don’t like,) or pasta, ( which doesn’t especially like me!) In addition to spiraling it into noodles and eating it with my other current fascination, tomatoes, I am playing with it in zucchini bread, and instead of lettuce in a salad, among other things. I’ll keep you posted with unrecipes soon! Nesting: I am reveling in being home, and taking time to do some improvements. I shampooed the bedroom carpet, and am slowly reorganizing. My sofa needs recovering, and the whole loft could use a coat of paint. I have been discussing this for months, but the current downtime is allowing me to look at fabrics and paint chips, and actually make it happen. I didn’t plan to do anything else, but yesterday I swatted a mosquito that had flown in through the kitchen window, and both the insect and the glass backsplash in my kitchen did not survive. I’m thinking of replacing it with mosaic glass tiles in neutral tones. Any ideas? Slow foods: I got a slow cooker a long time ago, but lately, I am actually using it! I can prep everything early in the day and leave it cook while I do whatever else I need to do. It means that I am not scrambling to get dinner ready at 7, or slaving over the hot stove when it’s hot outside. So far, BBQ pulled pork and Bolognese sauce were a hit, and I popped my favorite coconut miso chicken with shiitake mushrooms in there a few hours ago. It smells great! Rebooting: It feels so good to relax, reconnect with friends, and think about what’s next. I love what I do, and the busier I am, the happier I am. Yet, I have missed a lot of social events, kid’s milestones, and just sitting back and relaxing! It’s also giving me enough breathing space to think about what I really want to do next, instead of just taking on the next project blindly. I usually panic at this stage, but this time I am enjoying it. Before the craziness began, I was working on a new concept for Indigo Jones. Perhaps now, I can take it to the next level. I’m pretty sure that will be what I will obsess over next week! I can’t wait to be able to share it with you. Finding balance: These days it seems like it’s all or nothing with me. I’m not retired and I do still have work to do. I need to find the balance between committing myself to it fully, and living a normal life. And that is what I intend to do. 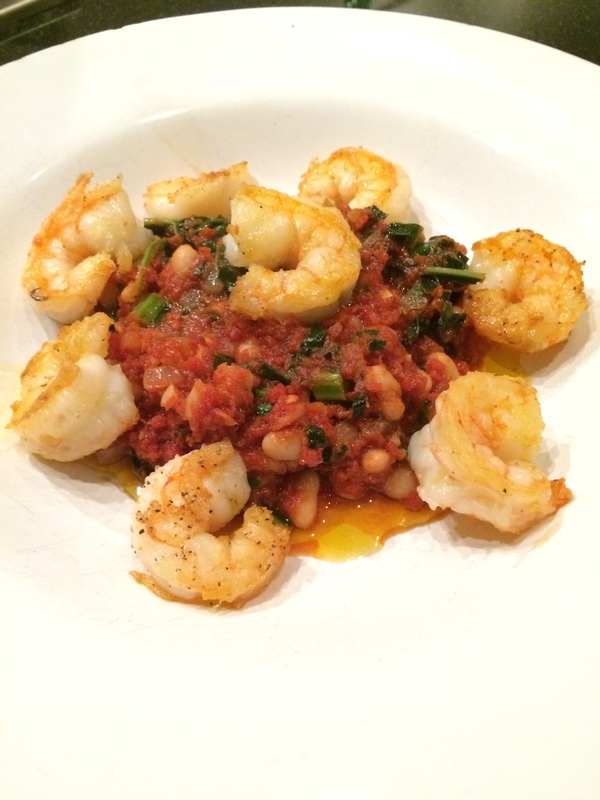 This is a perfect unrecipe for those of us lucky enough to live near a place to get the freshest seafood, pasta made daily, and even a homemade marinara sauce in a jar. For me, it’s a quick trip to Chelsea Market. I purchase freshly caught Atlantic shrimp and scallops at The Lobster Place, one of New York’s very best fish markets. I sear them with very little seasoning, as the marinara sauce from Buon Italia is full of diced garlic, rich red tomatoes, and slick with olive oil, which coats Rana’s homemade pasta beautifully. (ok, maybe 15 extra minutes,) you can create the sauce yourself. It’s that simple. It’s that easy. It’s that good. Heat olive oil in a pan and sauté 3 or 4 cloves of diced garlic until soft. Place the seafood in a single layer in the pan so that each piece touches the hot surface. Don’t over crowd the pan. If necessary, do this in batches. Flip it and sear the other side. This should only take a few minutes. This is our homemake pasta from a previous post. Add a can or box* of diced San Marzano tomatoes and a liberal dose of salt. Add a little red pepper and lay a leaf or two of fresh basil across the top of the mixture. The leaves will wilt into the sauce naturally. Heat until the sauce starts to bubble, stirring to scrape up any brown bits from the bottom of the pan. Cook briefly, and serve over pasta. Enjoy! *canned tomatoes are a good news/ bad news item. They are healthier, due to the higher levels of lycopine than fresh tomatoes, but their acidity makes the chemicals in the can even more harmful. Whole Foods carries San Marzano tomatoes in tetra pack boxes, which is a much healthier alternative. If you can’t find them, you can use Pomi brand, which has always come in boxes.